Traditionally, the engagement is the promise of a wedding coming soon. It is, therefore, the stage that precedes the organization of the wedding, symbolized by a wedding ring. The origin of the word “betrothal” also comes from the Latin term “confiare,” that is to say “entrust to”. The engagement represents the announcement of a future intention to get married. This will include materialization by an engagement ring offered by the future husband to his fiancée, at the time of his marriage proposal. In ancient times, it was customary for the father of the bridegroom to present a marriage proposal to the young woman’s family. This practice has now almost disappeared. But then why do we continue to get engaged nowadays? The engagement is primarily a time for reflection before making a final decision on marriage. This period will give the two families time to meet and get to know each other. The engagement will as well allow the couples to take the measure of their future commitment. In this regard, there is an idea that has become very popular in recent years and is that the investment for this jewel should be between two and three months of your monthly salary, but how true is it? Is it necessary to stick to that “rule”? Keep reading, and you will find out! Some say that you should spend three months salary on an engagement ring, another two months and there are also those who suggest only one month’s salary. There is no shortage of rules that quickly infiltrate the culture and disguise themselves as tradition. So, let’s break this story a bit so that you can pick a value that is most reasonable for your situation. After all, where did this story of the 3-month salary come from? This rule is so impregnated in the daily life of most countries in the world where the culture of the engagement ring is strong. This tradition has extended for centuries and the reality, however, is that this idea is an old marketing invention, created in the 1930’s by the world’s largest diamond supplier, De Beers. When custom engagement rings arrived in Japan, although marketing campaigns suggested a month or two of salary, Japanese consumers did not feel satisfied and quickly set out to spend an average of three wages on an engagement ring. So the value of 3 salaries soon spread from the East to Western culture. The 90 days salary is a fairly large amount and, to be honest, it is unrealistic, especially if you are a young couple who are in their 20s or early 30s. The economic situation in our days demands high expenses to maintain an independent life. Rent, furniture, food, entertainment, and other services or the decision to buy a house or a car are the expenses that a newly married couple will have to face. Do you have enough to solve them and also buy a super ring? If so, go ahead! If not, think about it a little more. On the other hand, that idea arose when there was still the social conception that the man had to support his wife and pay for a ring that cost three months of his salary. This was also intended to demonstrate that he had the monetary ability to cover the needs of his beloved. However, the world has changed, and today, women are independent, have their own jobs and contribute to the maintenance of the home. A woman today does not need to be shown that she can be maintained because she can support herself. What is required is for the man to show her sincere love. 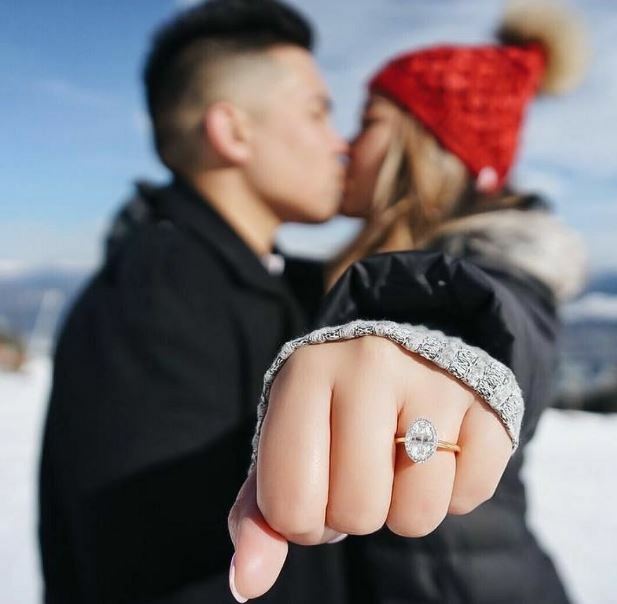 Is Engagement Ring Always Necessary? The engagement ring does not stop being an object, so it is not always necessary to buy one when making a proposal for marriage. 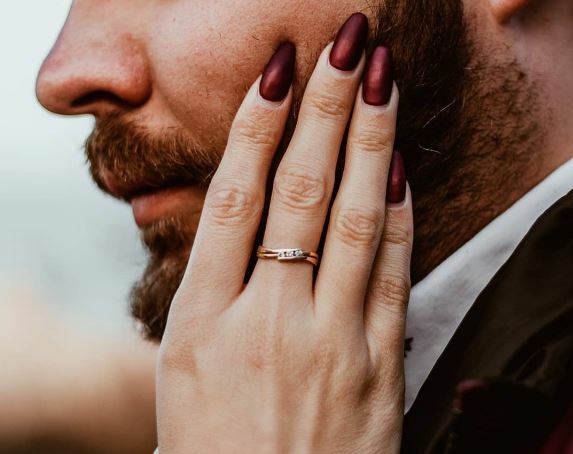 According to a recently conducted survey of a thousand married couples, it was found that only 114 of them had proposals of marriage in which an engagement ring was presented. Another interesting fact was that these men who did buy the engagement ring invested over 8.44% of their annual salary and not the 25% that some people have tried to enforce on everyone today. Now that you know a little bit of history, we can move on. To find the answer, the first and quickest conclusion is that you do not have to spend your 3 months’ salary on a ring, and deep down, you already know that, do not you? In fact, we all know because it is too much! All over the world, an average man despite the high cultural pressure to spend his 3 months earning on an engagement ring, spends less than that when it comes to making a marriage request. Using America as a case study, research indicates that an average American spends approximately $ 5,000 on an engagement ring. The average monthly income of an American of marriageable age is approximately $ 3,350.00. Therefore, the American usually spends about 1.5 month’s salary on an engagement ring. Of course, these are just references for you to orient yourself. Each case is a case, isn’t it? There are those who prefer to spend less and others more. You know there is no “right” answer to the question, but we can go a little further to try to help you with the equation so that things do not slip away from what has been highlighted earlier: common sense. By this, we mean that it is unreasonable for you to spend too much, to the point of compromising your financial health, but not also to the point of proving stingy. Let’s start at the simplest angle: how not to compromise your financial health. Nobody other than yourself can do this analysis accurately. After all, the plans for the future, the current expenses, among other factors, vary greatly from person to person. However, you already know that spending between 1 and 1.5 months of salary seems to have worked for many people, which is to say this has led us to believe that it is a fairly safe level for most cases. So if you want to venture to get an engagement ring that exceeds these levels, the experience of other couples says that the risk begins to increase a bit. Remember: only you can determine how much risk you want to incur. If you have already saved some money in the past or if your income stream (and expenses) is extremely stable, you could undoubtedly gain a little more flexibility for more expensive rings. Finally, the last concern: how not to spend too little? Sincerely speaking, this will rarely be a problem, since most people do not care about the financial value, but about the history, dedication, effort, and affection that are implicit in the ring. Stop and think … For example, if your partner has always dreamed of being given an expensive engagement ring, and you are the type who spends $ 1,500 on a pair of jeans, buy sunglasses for $ 2,000 or always purchase the car of the year, it would be quite weird to buy an engagement ring for $ 800, isn’t it? Understand that although we are talking about values, they matter little, it is just a question of posture, coherence, and consideration. In conclusion, as a key piece for many successful marriages, the engagement ring is a fundamental piece that cannot be ignored. Also, it stands as a seal of love between the couple, and it marks the promise to remain united in marriage until death separates them. 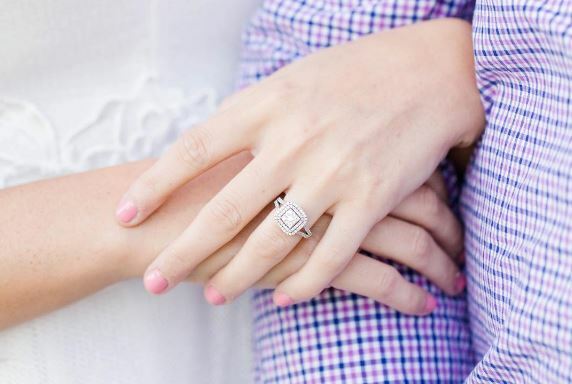 In addition to the unique moment in which the delivery is made, the engagement ring must be a piece with the ability to thrill the bride, since she will wear it for the rest of her life. To this end, it is estimated that the ideal cost should be equivalent to 1.5 months salary of the groom. Furthermore, discussing finances and love separately is no longer an easy task. Things get much more complicated when the two combine because, whether you like it or not, money infiltrates every aspect of our lives, including our relationships. On the other hand, if we do not take the reins of the situation, money can distort everything we consider love. It is a challenge, but the intent of this article is a bit more objective, as it has unraveled some myths and relieved some of the pressure that this kind of decision can cause. As earlier emphasized, an engagement ring may not be necessary when making a marriage proposal. However, if it has any meaning to the couple, “how much to spend” will be an unavoidable decision in the process. The important thing is to know that you do not have to break the bank in order to make a purchase. Statistics prove that the old rules created by marketing are not in line with reality. Take a deep breath, let common sense be applied and you will know how much to spend to give an unforgettable surprise to the love of your life. In some cases, a cheap engagement ring also connotes a happy wedding in the end, as a study from the Emory University found out that there is a correlation between the amount spent on wedding expenses, including the engagement ring, and the success of the wedding. The correlation is actually quite strong, and categorically inverse. Spending $ 1,000 or less on marriage expenses were associated with the highest likelihood of a positive outcome and the lowest risk of divorce. Exceeding $ 20,000 on marriage expenses has been associated with a sharp increase in the risk of divorce. Since money problems have been repeatedly reported in previous studies as a major cause of divorce, researchers at the Emory University postulated that stretching budgets or incurring debts to pay for a marriage ceremony or an engagement ring potentially sets a new marriage on a trajectory towards the kind of financial tensions that can lead to a divorce. 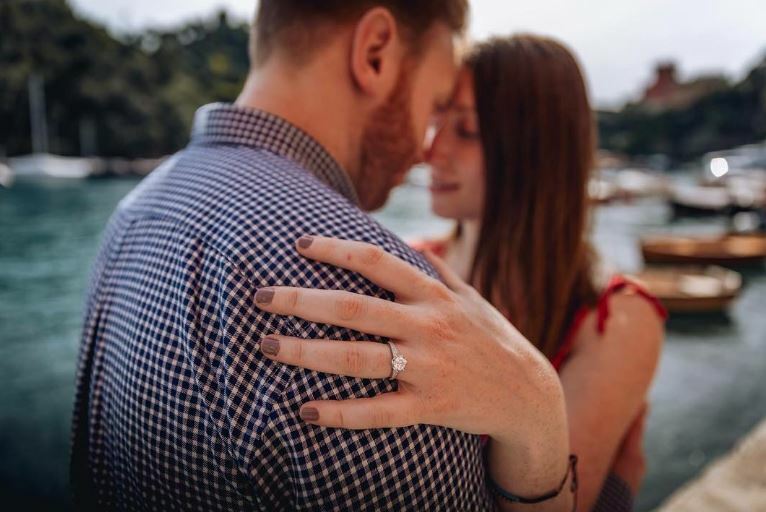 Budgeting for an engagement ring is a very personal choice, but note that spending more than you can afford does not make you more than one man, nor proving your love is stronger than that of a man proposing with a modest ring. Mark Zuckerberg, whose net worth stands at over $ 51.7 billion, gave up the idea of using an expensive diamond ring entirely when he proposed to his wife in 2012, sticking to a ruby instead. The couple held their wedding ceremony in their backyard with the anchorage of a local Mexican restaurant. Today, their union is still strong. The answer to how much you have to spend on an engagement ring is not the three month salary, the amount suggested by De Beers decades ago, nor more than the amount spent by your friend which accumulated thousands of Facebook likes. Spending less cannot make your proposal inferior, as it would rather lead to a more sustainable and happier marriage.